I have so many things going on behind the scenes (all good!) in addition to my online shop and Etsy shop, that I have not had the time to post new content for you. I promise there will be another sewing machine review up really soon. 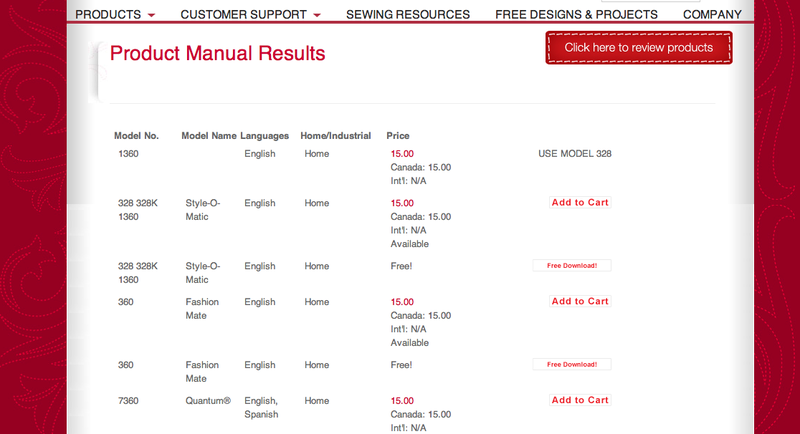 A few more sewing machine resources may be added to this blog as well. As you may have expected, a couple of new “vintage” sewing machines have made their way into my home, as well as some vintage sewing tools. Stay tuned for those. Looking for some needles, an invisible zipper foot, or maybe some oil for your vintage sewing machine, these are now available in my online shop here or click on the photo below. I will be stocking more sewing and pattern making related items. I hope you visit me there soon. Please know that I read all messages and will try to answer if time permits. Thanks for reading and commenting. Now go rescue another vintage sewing machine! Have a vintage Singer sewing machine but no manual? 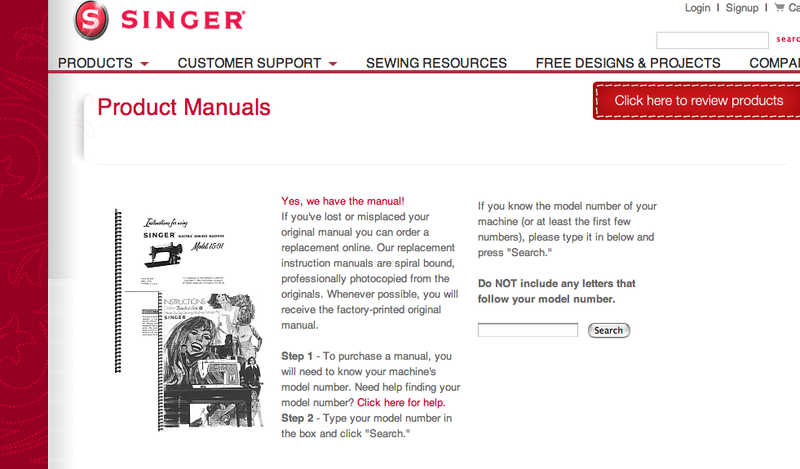 Check the Singer website, you may find a manual for most Singer sewing machines AND you do not even need to register! Many are free but if you want a hard copy (of a copy I assume), it will cost you $15.00. 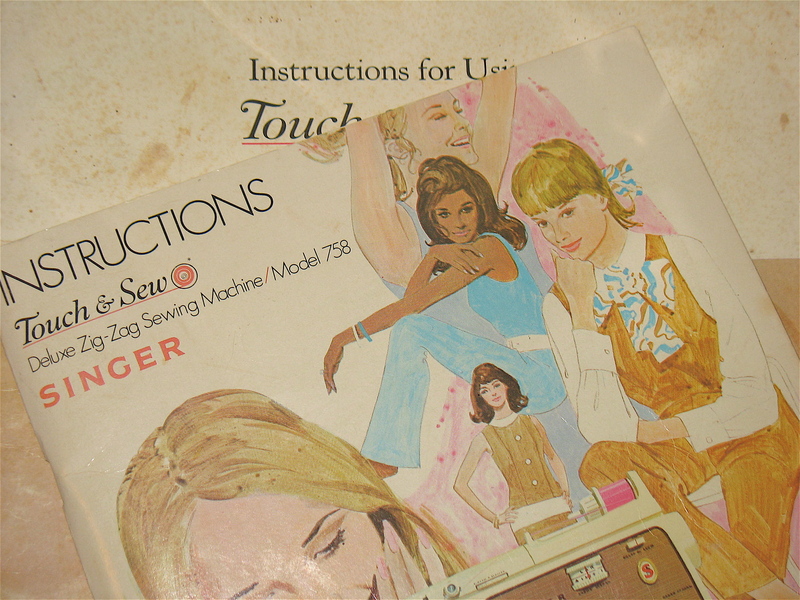 I am not opposed to people selling copies of hard-to-find sewing machine manuals. However, there are some sellers out there selling manuals in PDF format, and on CD’s that are available free of charge at the Singer website. Just something I’ve noticed and find a bit curious. 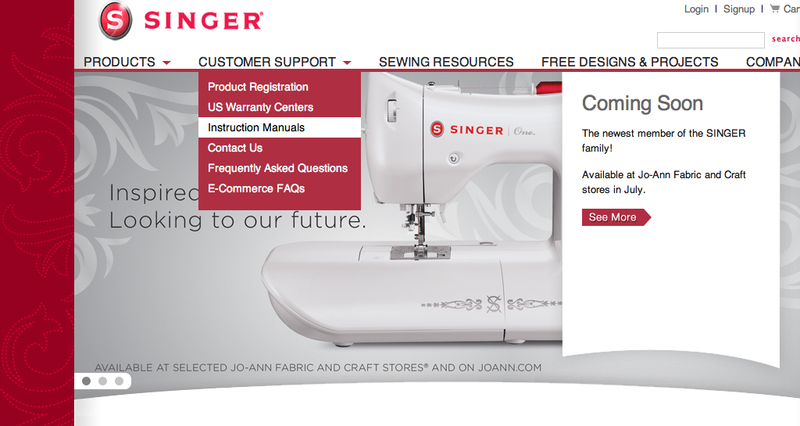 Go to Singer website, click Customer Support, then click on Instruction Manuals. Next, you will see this image. 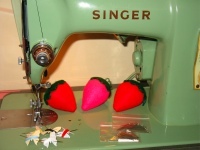 Enter the Singer sewing machines model number in the Search box. The model number is on the metal nomenclature plate which could be found under, or on the side of the sewing machine. 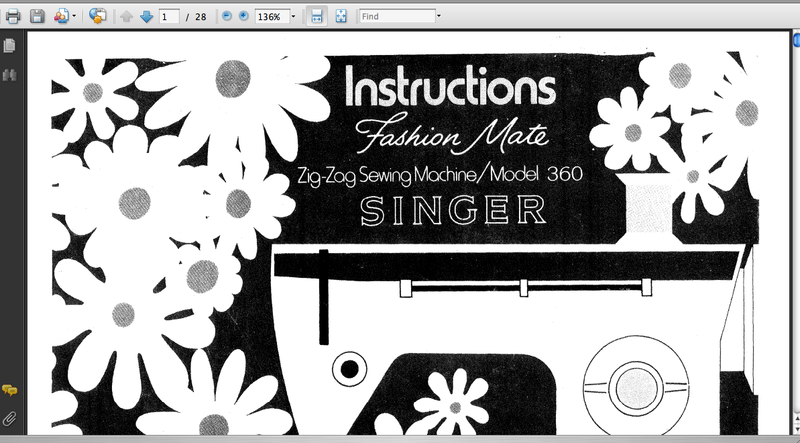 If your sewing machine is a Singer Fashion Mate 360, your search results may give you a long list of manuals. Just look carefully at the list to find the one with the correct number, it will say “Free” and “Free Download” beside it. Give it a few seconds, and a manual should appear, you will be able to print it and save it to your desktop or other file. 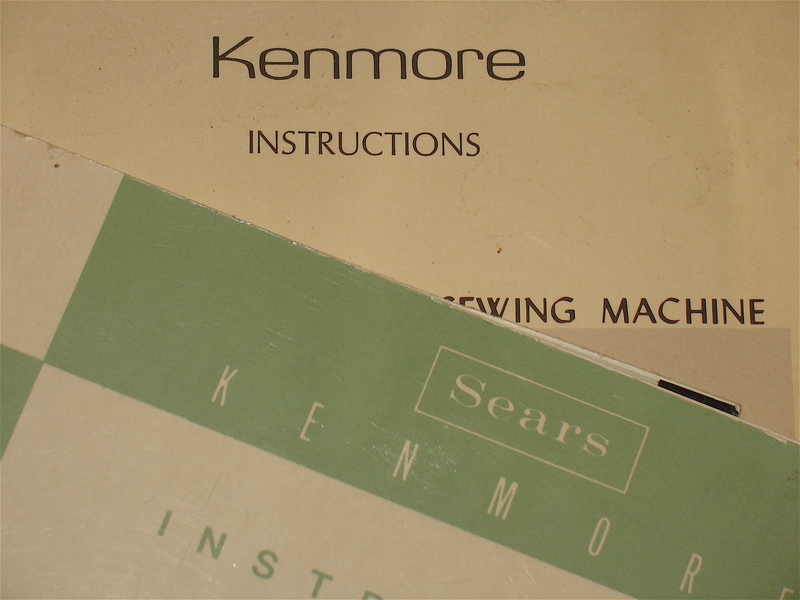 Want a free manual for your Kenmore sewing machine ? 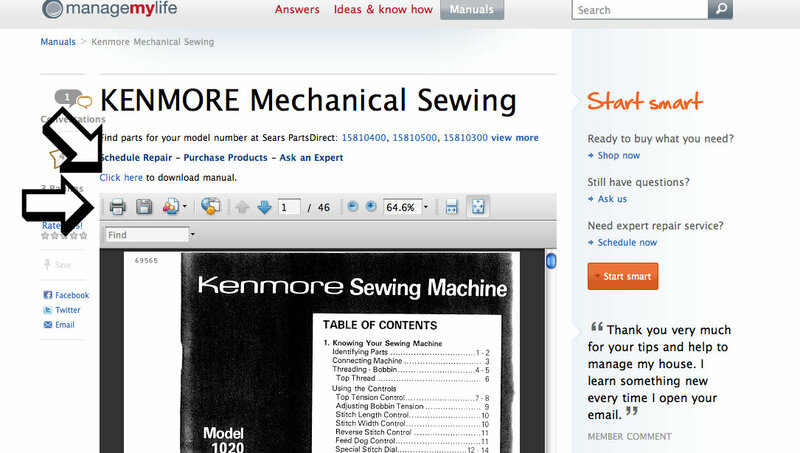 At this website, you may find a manual for most Kenmore sewing machines. Why should you pay $8 or more for something you can download for free! 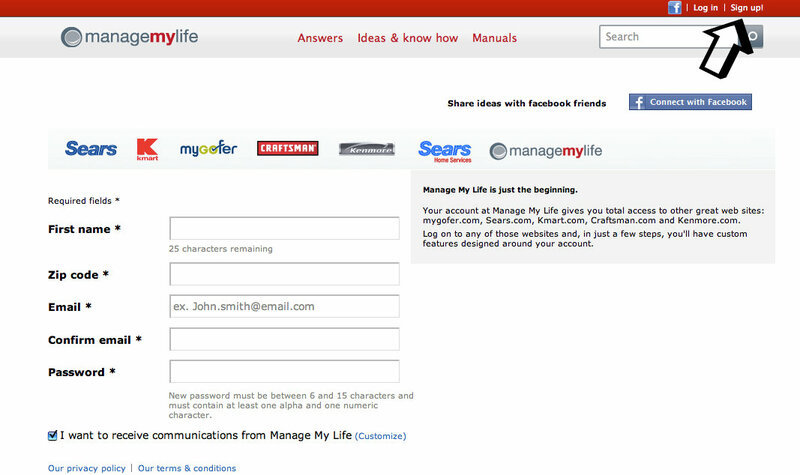 Go to Manage My Life website (a Sears website) and register for free. Once you register, click on Manuals at the top. 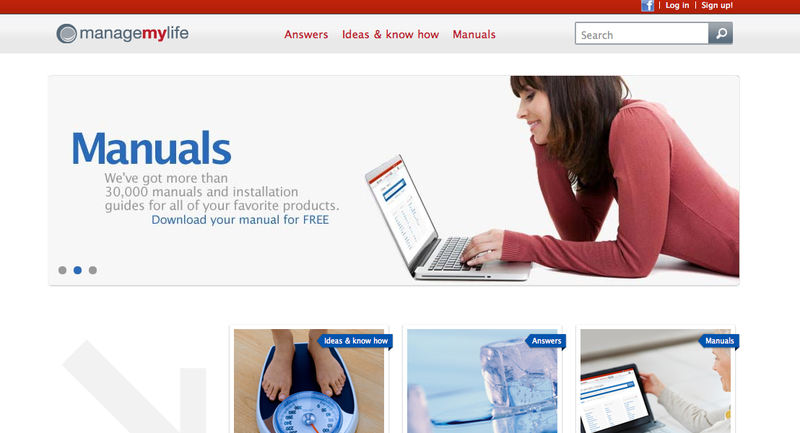 Once you click it, you will see: “Find Owners Manuals”. 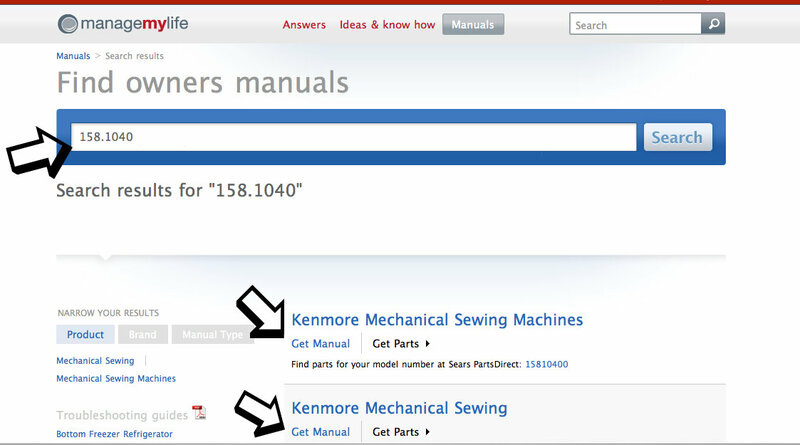 Enter the Kenmore sewing machines model number in the Search box. The model number is on the metal nomenclature plate which could be found under the sewing machine. If your sewing machine is a Model 1751, the plate may read 158.17511; enter the entire number in the Search box to search for your manual, including the dot. PLEASE NOTE: sometimes you may have to omit the last digit on the model number to get results. 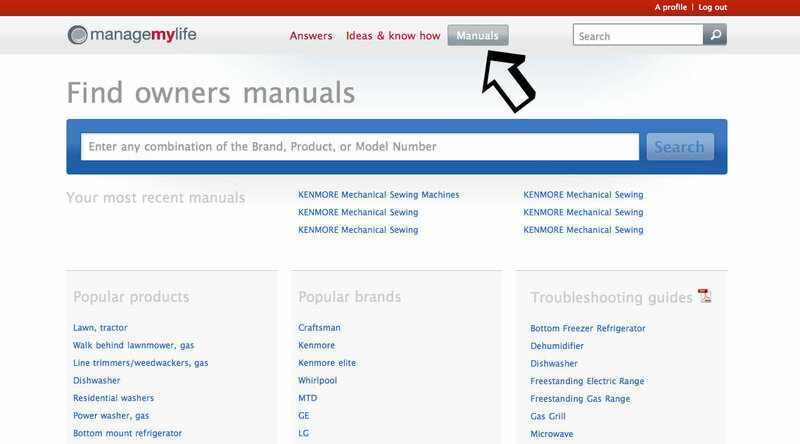 If a manual is available, you will see link in the search results that say “Get Manual”, click it. Give it a few seconds, and a manual should appear, you will also see “Click here to download” or save and print icons right above the manual: (see arrows on following image below) click on one of those to save a copy of the manual to your desktop or other file. Some manuals are really long, 30 pages + and that is because one manual can be used for several sewing machines with similar features. The manual is saved as a PDF so you may print only the pages you need.